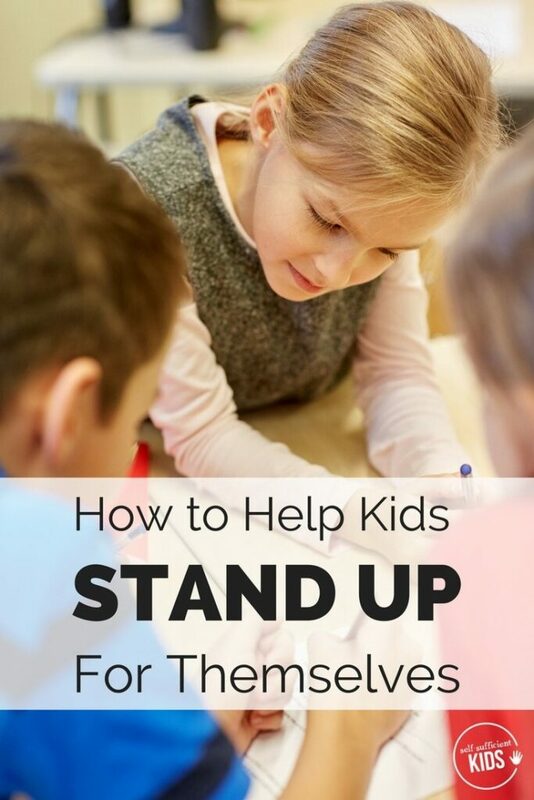 Kids need to know how to stand up for themselves, but practice is often needed. Here’s how parents can help. “No, Mom, I can’t do it.” my daughter said as tears streamed down her face. Over the past few weeks a girl in my daughter’s class had been saying things that bothered her – not terribly mean stuff, just annoying slightly critical things she was growing tired of. For weeks we had talked about what my daughter could say to this girl to let her know she didn’t like her behavior, but my daughter didn’t feel comfortable being direct and confrontational. For some kids, speaking up for oneself is intimidating. Sometimes there’s a fear they’ll offend the other person or be ostracized after speaking up. On the flip side, some kids have no problem speaking up for themselves but have trouble responding in a calm, non-confrontational way. Being assertive – the right way – is a delicate balance many adults still have trouble finding. Getting young kids to speak up can be challenging, and that’s OK. Being assertive takes practice and there are many ways parents can help. But first – while it’s great to encourage kids to speak up for themselves, don’t push kids into doing something they aren’t comfortable with. Let kids know you believe they’re capable of speaking up – both to friends and other adults – but just like you wouldn’t force your child to ride a bike or watch a scary movie until they’re ready, there’s no need to force young kids to talk if they aren’t comfortable. Standback: Don’t interfere in your child’s disputes with other kids – even if they’re young toddlers. Getting involved sends the message that your child isn’t capable of handling the situation on their own. And letting kids handle disputes gives them the opportunity to practice negotiation and other social skills. 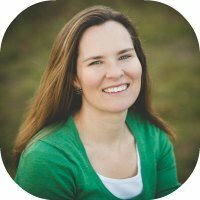 Listen: If your child comes to you with a dispute make sure you’re listening and acknowledging what they’re saying. Often, if parents simply provide a listening ear and don’t intervene, the child will come up with solutions on their own. Think of yourself as a coach: Once you’ve listened to your child’s concerns, ask if they’d like your advice. Once you’ve been given the OK, help your child think of polite ways to talk to another child or what might be the best way to approach a teacher with an issue. Practice: If your child is feeling nervous about speaking up, take some time to practice the scenario with them. Help them think of different reactions the person they’ll be talking to will have. Hopefully, this will make your child feel more comfortable when the real situation arises. Be an example: If we want to raise kids who are assertive, we’ve got to be a role model. If another adult is rude to you act the way you would want your children to act. Have a democratic household: A great place for kids to practice sticking up for themselves is at home. Let children know their opinion counts, even if you don’t agree with it. Parents can also instigate family debates – discussions about issues outside the home such as world events. Family debates let kids see parents model respectful disagreement and also practice having a voice and opinion of their own on a topic. Add your thoughts only when necessary: When kids need to speak up to adults, let them take the lead: “Like a junior good manager in the workplace, let the junior person in the room (your kid) speak first, then support what they’ve said, adding only what you feel is essential.” says Julie Lythcott-Haims in her book “How to Raise an Adult”. For weeks my daughter continued to struggle with how to handle the situation with her classmate, often coming home from school anxious and in tears. She had tried everything, she said, but was also very fearful of being labeled a “mean kid” if she pushed too far. Eventually, the girls’ teacher had the two girls sit down one day and talk about what was going on. That open and frank discussion – with the teacher acting as a moderator, not a judge – cleared the air for the girls. And while they never became best friends, the other girl did seem to understand her remarks weren’t welcome and appropriate. My daughter needed a lot of guidance and support during this time and it wasn’t always easy to spend nearly every evening mulling over this issue with her. It would have been a lot simpler to pick up the phone and call the other parents, letting them know how their daughter’s remarks were impacting my daughter. But I knew this wouldn’t be the last time my easy-going kid would need to flex her assertive muscles. There would be other kids and other situations where open and honest feedback was needed. Since this time the emotions and anxiety surrounding confrontations with other kids has decreased, even though being open and direct still isn’t my daughter’s forte. But as with most skills, each opportunity to practice – and learn from mistakes – is one step closer to acquiring healthy communication skills that will open the door to better relationships with friends, coaches, teammates and later – spouses and employers. The more us parents step back while still be supportive, the more we let our kids bloom into the confident, assertive adults we hope they’ll become.